Can I lodge a Partner Visa on my own? If you have received Visa advice from a Registered Migration Agent who is fully aware of your relationship details and is of the opinion you have a relatively straightforward case. When is it ‘okay’ to lodge a Partner Visa application on our own? A Full Partner Visa Application review prior to document lodgement. At the very least, we feel it is really important to seek advice from a Registered Migration Agent right at the start. 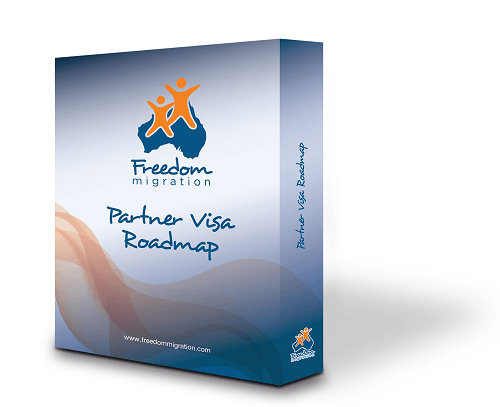 A Visa Planning Session with a Registered Migration Agent at the beginning of your Partner Visa journey will help determine if there are likely to be any complexities with your case. The session will also equip you with an understanding of the lodgement process. When is it ‘not-okay’ to lodge a Partner Visa application on our own? We would say an emphatic ‘NO’ to lodging your own Partner Visa Application if any complex issues with your case have been identified. Really, it’s not worth chancing a Visa refusal and losing the $7,000 Application Fee in the process if there is a chance your situation is a complex one that requires some insight and professional assistance. In cases like these, we would strongly recommend you secure the services of a Registered Migration Agent. At the end of the day, it’s about you and your loved one. It’s your future in Australia that is at stake. Most importantly, that $7,000 is gone if the Visa application is refused. So in conclusion, if yours is a straightforward case as advised by a Registered Migration Agent, then yes, do consider lodging on your own. It may save you money. Look at some level of support as well, if you can afford it. If yours is a complex case, though, we strongly recommend you get assistance and advice from a Registered Migration Agent. Either way, we wish you good luck and everything of the best. We love getting your feedback so feel free to comment below. We read all your remarks and will reply if we can answer any questions.